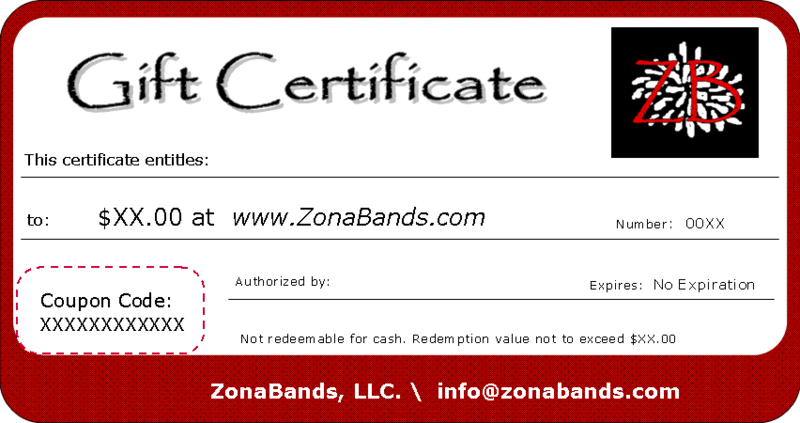 Gift Certificates TEST - ZonaBands - The No-Slip Adjustable Headband! Yes, we now offer Gift Certificates in any amount! Please fill out the request below. In Details section please include number of certificates you would like and the amount of each. We will email you a payment request for the amount. To change the quantity of gift certificates, go to your Shopping Bag, after you click Add to Bag. All Gift Certificates will be mailed via USPS First Class Mail at no charge.